Open Source community now offers a wide range of powerful tools for managing enterprise grade Private Cloud. It is difficult to define where from the successful journey of Open Source Private Cloud Softwares started, but yes as we have written ago, CentOS community, which comes with the tag line “The Community Enterprise Operating System” definitely has reduced the cost of Virtualization. Along with the offerings of Open Source Private Cloud Softwares, Google has various Free, Community based Free Cloud Computing related APIs. Private Cloud Solutions are much more costly affair than simple virtualization, simply because the hardware resources like computers, storage system and Bandwidth increases the one time and recurrent costs. 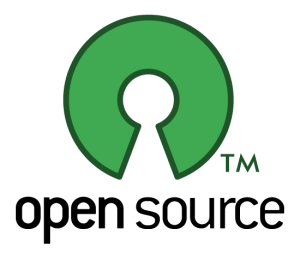 Open Source Private Cloud Softwares are cutting down the licensing costs. Open Source Private Cloud Softwares packages with openness, flexibility and zero cost now is enough robust to provide secured private cloud environment in the enterprise infrastructure. Google Provides IaaS and hundreds of API to test your own development for free of cost. This is an ideal environment to test whether an Enterprise is ready to shift to Private Cloud with the open source private cloud softwares. Open Source Private Cloud Softwares provides the Vendor Independence, which is obviously much desired for the Enterprise for branding. Most Open Source Private Cloud Softwares targeted for the Enterprises are capable of orchestrating with public clouds for example, Amazon EC2. Open Source Desktop as a Service (Daas) solution packages can easily be integrated with Open Source Private Cloud Softwares, user management is quite easy. Integrated cluster management comes as packaged solution with Open Source Private Cloud Softwares. Cite this article as: Abhishek Ghosh, "Open Source Private Cloud Softwares Are Opening More Opportunities," in The Customize Windows, October 3, 2011, April 21, 2019, https://thecustomizewindows.com/2011/10/open-source-private-cloud-softwares-are-opening-more-opportunities/.